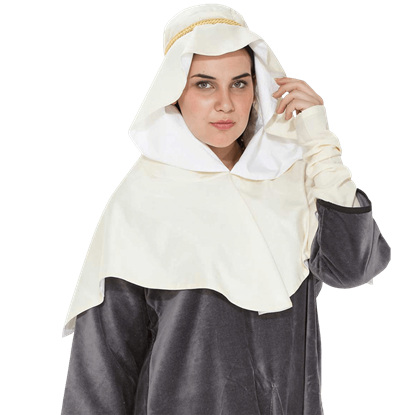 During the 10th and 11th centuries, Anglo-Saxon women typically wore head coverings like these as part of their daily wear. 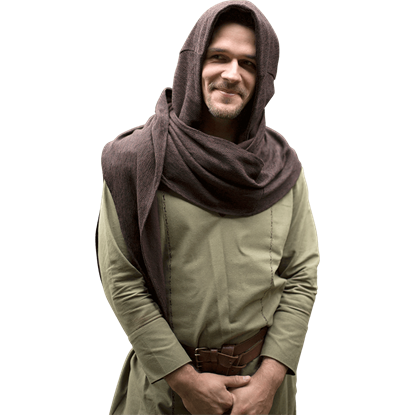 The Ailith Saxon Hood, made of linen fabric, is an easy way to add authenticity to your reenactment look. 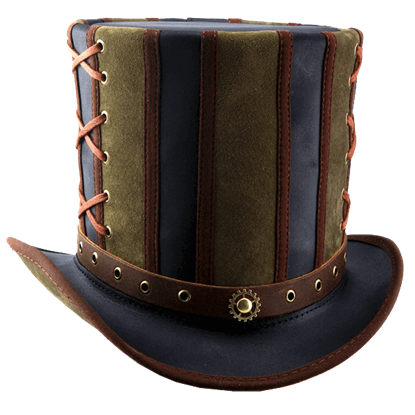 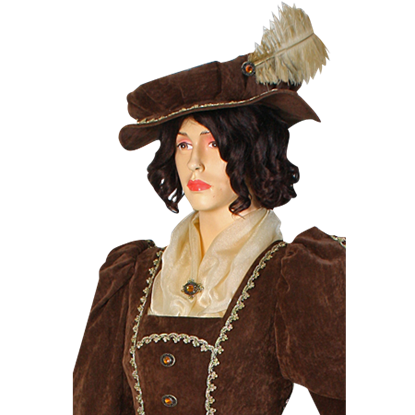 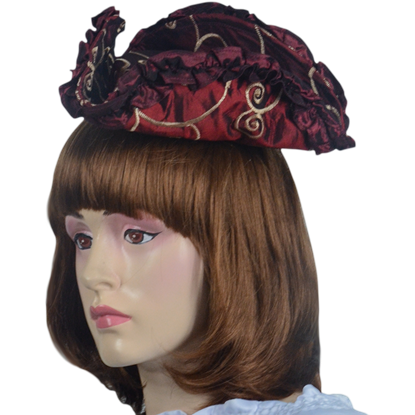 The Antique Velvet Hat is made out of a remarkable fabric that showcases the soft and smooth texture of velvet without its typical reflective sheen, resulting in a lavish yet refined look fit for a Renaissance or Victorian noblewoman. 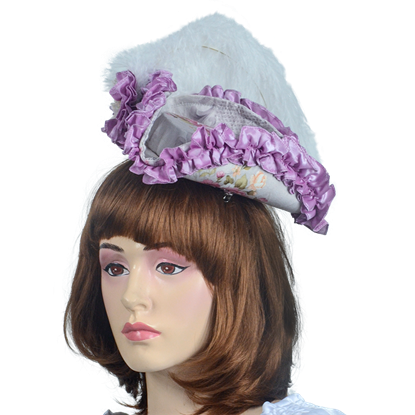 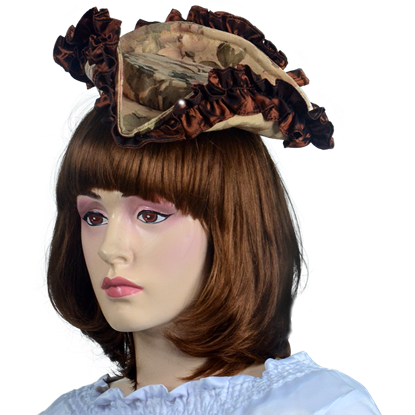 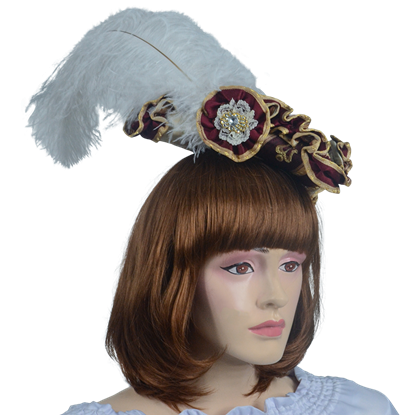 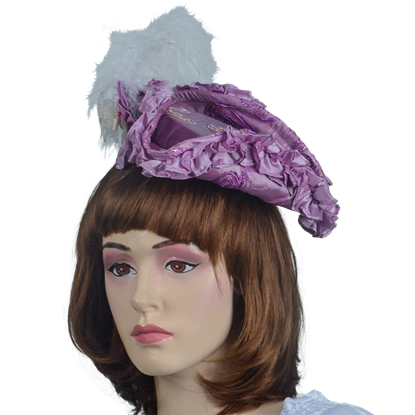 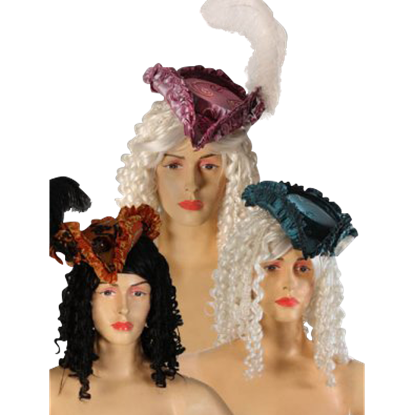 The Antoinette Renaissance Hat is a pretty, baroque-styled ladies hat that is made from elegant, ornamented fabric. 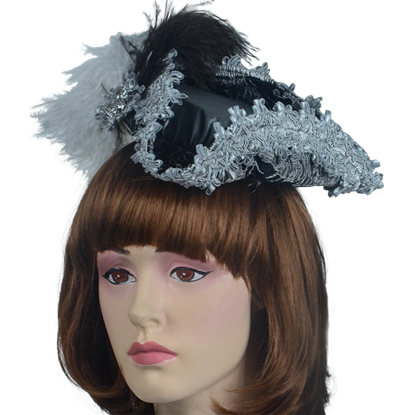 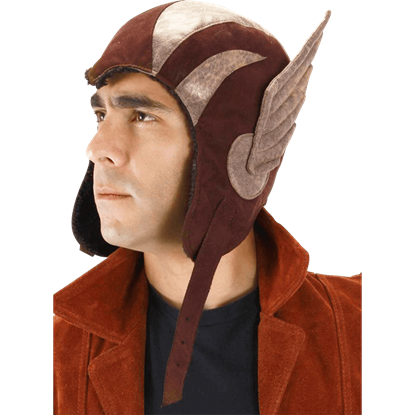 It is available in a variety of colors and features a sewn-in wire so the shape can be adjusted.